Spirals are found throughout nature and represent growth and evolution. The spiral's winding path is a symbol of life's journey. 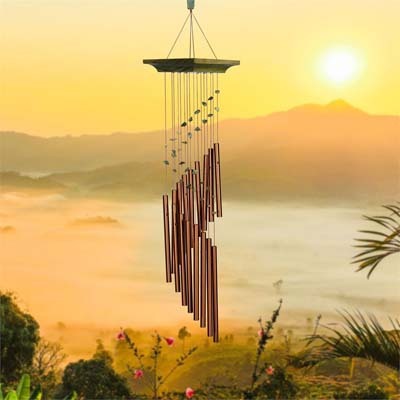 Our Woodstock Mystic Spiral chime features genuine stone accents. We have captured the ancient beauty of jade in the genuine stone accents on our Mystic Spiral chime. Green jade is a sacred stone of Asia and comes in a variety of shades from creamy seafoam to deep emerald."